Amongst the top e-commerce companies in Kuwait, the best online shopping sites have free nationwide shipping, cash on delivery and good buyer protection. Then what’s the best online store of 2019 in Kuwait? It’s Souq which is now Kuwait’s most popular and largest e-commerce site. Beyond a massive online store, Souq Kuwait is also a buyer/seller portal with marketplace features that extends product availability, increases price competition. While many other e-commerce companies carry stock in UAE or nearby Arabic countries, they have warehouses in Kuwait for fast delivery. By far, the top most popular e-commerce website in the country, with the largest stock of products and range in shopping categories. Free and reliable courier shipping inside Kuwait. Marketplace and Amazon Global integrated that enables convenient shopping in the biggest e-commerce store in the Arabic world. Large stock of fulfilled by Souq products, and AmazonBasics for reliable shopping of authenticity guaranteed items with same day delivery. Web interface and customer service both in English & Arabic. Several payment methods, including cash on delivery (COD), Visa/MasterCard credit or debit cards, installments, Souq Wallet. Online shopping with Kuwaiti dinar. Acquired by Amazon, and easy to use familiar shopping interface and system. Login to Souq with your old Amazon (or Facebook) account. Money back guarantee of 15 days. Popular items on offer at deals of the day page for cheap shopping. So no wonder Souq has become the top ecommerce company in Kuwait. The free shipping is only available for “fulfilled by Souq” items, otherwise the cost of door-to-door delivery in Kuwait is reasonably priced. If you buy products from other Arabic sellers through the marketplace, cost of shipping will rise. Also, using cash on delivery does include a small extra fee. Please, note that cash on delivery does have a maximum order value of 10,000 KWD and phone number verification and address in Kuwait is required. Payments with COD are strictly by cash only to the courier staff. Shipping, and delivery is readily available to locations such as; Ar Rābiyah, Janūb as Surrah, Bayān, Salwá, Al Manqaf, Al Mahbūlah, Ad Dasmah, Al Jahrā, Şabāḩ as Sālim, Al Farwānīyah, Al Faḩāḩīl, Ḩawallī, Ar Riqqah, Al Aḩmadī, Al Finţās, Kuwait City, As Sālimīyah, Ar Rumaythīyah and elsewhere in Kuwait. Click here to find out more about Souq in Kuwait. While Souq dominates first place on the list, the country has a booming ecommerce market with business on online shopping retail increasing every year. Here are the top 10 companies, according to popularity on social media. Especially amongst the best online stores for shopping everything from groceries, electronics, fashion to baby/kids goods, home and beauty/health products. Nothing beats the convenience of Souq in my opinion. 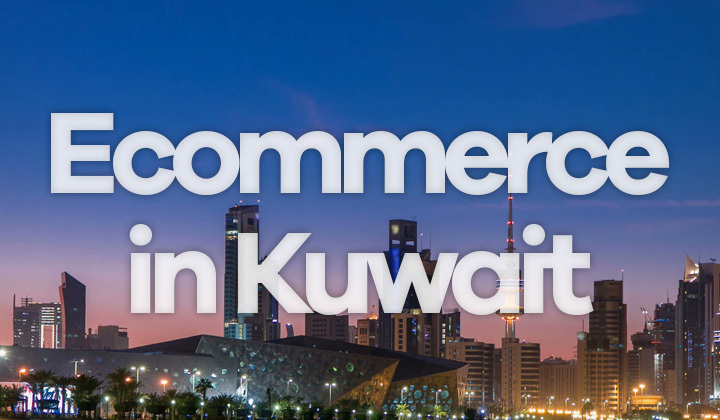 Any questions, comments or concerns on Kuwaiti ecommerce? I’m most happy to discuss details on online shopping and sites there! Much thanks for stopping by and reading this..! Let’s not forget that sometimes affiliate links dwell within these posts, reviews and guides on the blog. Your support is voluntary and tremendously appreciated by the author. Let’s keep the posts rolling for successful shopping experience.